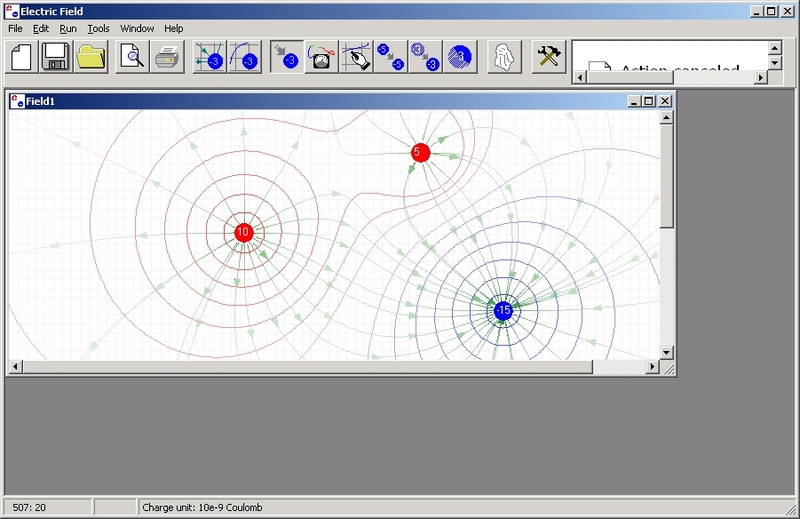 An electric field simulator. 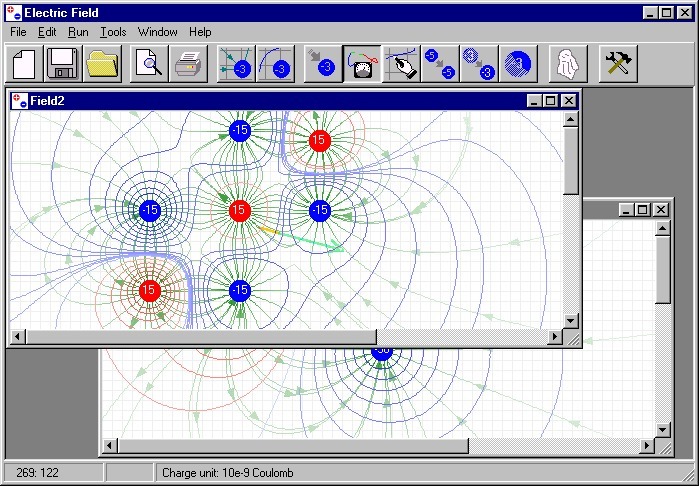 It is an excellent tool for visualizing electric field and equipotential lines. Visibility of field line and potential surface depends on their magnitude. You can put unlimited number of charges in the field. Also, it can simulate electric field of charged condenser, charged wire and charged dielectric objects. “Electric Filed” have ability to measure field strength and filed potential. Supports MDI, bitmap exporting, and printing. Here are awards for Electric Field. You can download Electric Field from our server. You can see ideal gas molecules in 3D if you use “Ideal Gas in 3D”. It can help you to understand molecules motion, Boyle’s law, Charles law and Maxwell distribution. You can download Ideal Gas in 3D from our server. – OR download from other sites.